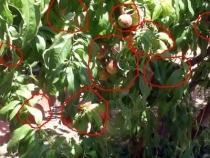 I need some advice on how to best deal with the hundreds of peaches I have harvested. 2. Gift them to friends and associates. 3. Eat three a day as part a healthy diet. 4. Feed to the birds/animals. 6. Use them as ninja darts or tee balls. 8. 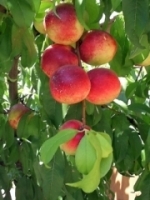 Frozen peaches served with yogurt or tea. 9. Donate them to local soup kitchen. 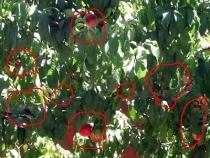 For an added challenge, guess how many peaches are there in each of the photos below. I’ll even give you a little help.